The funding will go toward the production and roll out of the start-up's first electric car, the Lucid Air. Tesla rival luxury electric car firm Lucid Motors has just revealed some pretty big news! The start-up has secured an incredible $1 billion dollars in funding from Saudia Arabia. 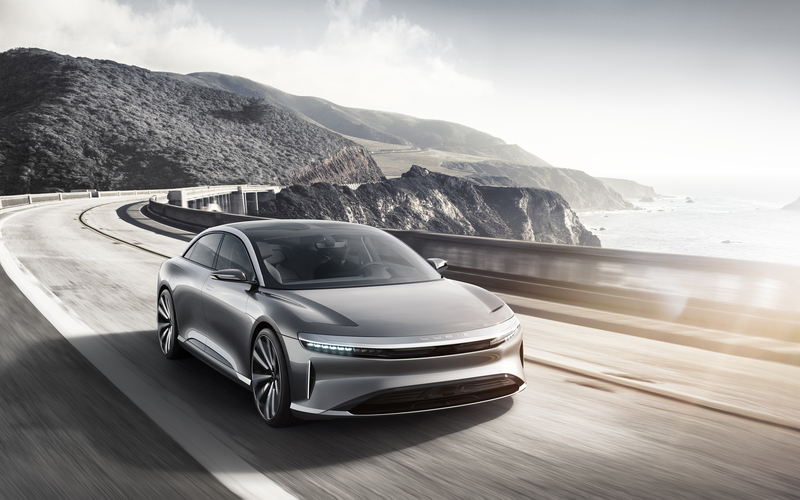 The deal made with the Public Investment Fund of Saudi Arabia (PIF) will finance Lucid Motor’s 2020 launch of the Lucid Air. The company's first electric vehicle (EV) will now see its engineering development, testing, factory construction, and production, hopefully, all be completed within two years, helping propel the EV sector. “The convergence of new technologies is reshaping the automobile, but the benefits have yet to be truly realized. This is inhibiting the pace at which sustainable mobility and energy are adopted. At Lucid, we will demonstrate the full potential of the electric connected vehicle in order to push the industry forward," said Peter Rawlinson, Chief Technology Officer of Lucid. In July of last year, the Lucid Air hit an impressive 235 mph while performing "beautifully." And the firm promised its car could do even more. "While it may be the top speed achievable on that day, with those conditions, and at this stage of development for the Alpha Speed Car, it is not the final production top speed for the Lucid Air," read the company's blog. Lucid Motors also packages that speed with a combination of "performance and dynamics" on top of "remarkable space and comfort." It is perhaps these claims of a "sublime luxury experience" that attracted PIF's investment. The new agreement said the organization and the carmaker aim to develop a global luxury electric car company, complete with world-class engineering, based in Silicon Valley. “By investing in the rapidly expanding electric vehicle market, PIF is gaining exposure to long-term growth opportunities, supporting innovation and technological development and driving revenue and sectoral diversification for the Kingdom of Saudi Arabia," said a spokesperson for PIF. “PIF’s international investment strategy aims to strengthen PIF’s performance as an active contributor in the international economy, an investor in the industries of the future and the partner of choice for international investment opportunities. Our investment in Lucid is a strong example of these objectives," the spokesperson added. The Kingdom of Saudi Arabia revealed their deal on Monday, however, Lucid Motors made their official statement today. Last November, the car manufacturer announced new headquarters in Newark, California due to growth preparations. "As we move closer to realizing our vision for the future of luxury mobility, we are outgrowing our Menlo Park headquarters and are in need of a new location that will allow for expansion," said the firm's blog. They weren't exaggerating!